Having moved to Canada at age 12, I have many memories from the culture I grew up in. El Salvador is a tiny yet beautiful country, with dynamic culture and delicious cuisine. 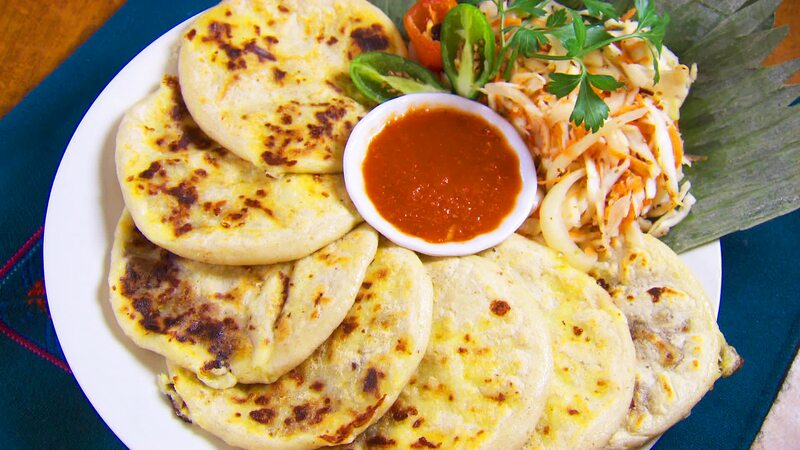 Typically, you can’t find much Salvadoran culture here in Vancouver, and the few Salvadoran restaurants here serve mediocre pupusas and average platanos fritos. I imagine this is the same story for many other Latino cultures and cuisines. However, immigrants from the Hispanic regions of the Americas do have a little treat once a year, found in the festivities of Carnaval del Sol. Every summer, the beautiful city of Vancouver gets a little taste of Latin American culture. With the best representation of music, food, and people that can be found down in the southern hemisphere, Carnaval del Sol welcomes all people to experience the myriad of cultures from Central and South America. Latinos from all countries and backgrounds invite guests to try their own cooking, learn the popular dances from their country, and test their abilities as a futbol (soccer) player. This two-day festivity not only serves as an introduction to the vibrant cultures of Latin America, but it is also a little piece of home for many Latino-Canadians. Having an event like Carnaval del Sol is very important for the Latino community in Vancouver. Being one of the smallest visible minorities in the Metro Vancouver area, it is imperative to have that kind of representation and be able to form communities that support their individuals. According to Wikipedia, Latin Americans make up merely 1.3% of the population of Metro Vancouver, and this number is expected to grow to a whopping 1.8% by 2031. Evidently, Latinos are not the most prominent minority in Vancouver, thus, it is important for all of us to come together and form a tight community, holding together our beliefs and values as members of a similar identity. Of course, there is a vast number of ‘Latin Nights’ at local clubs and Salsa classes for Latinos and those interested in the culture can congregate and form meaningful relationships. In addition, support for the Latino community in Vancouver exists in small institutions. For example, the organization in charge of Carnaval del Sol, Latincouver, offers help to new immigrants in order to make their transition into the Canadian lifestyle easier. They also show support for Latin artists in Vancouver and hold an array of events such as networking for entrepreneurs and the Inspirational Latin Awards for those who have positively impacted the economy and community of BC. Multiple other organizations, such as the Mexican Community of Vancouver, Latin Summer Fest, as well as non-secular institutions hold annual festivities for the Latino people of their communities, and show continuous support for them. Even though the event only started a few years ago, Carnaval de Sol has been growing rapidly year after year. Bringing in more and more opportunities for people to present the best from their cultures to the public, and allowing newcomers to deter that inevitable feeling of homesickness, the Latino community of Vancouver is happy to celebrate their diversity each year. You can watch a short video about this year’s Carnaval de Sol from the Latincouver YouTube channel here.